Anyone who has read Alma 32 understands that a testimony begins with a “desire to believe.” Once planted, that desire must have space to grow, you must “let that desire work in you” until you can have faith (Alma 32:27). Unfortunately, not everyone who has that desire can let it grow. The thorns and thistles of doubt choke out that seed of faith (Matthew 13:7). Even though they have the desire to believe, they can’t seem to make the choice to believe. Faith can only grow if we choose to let it grow, choose to nourish it. Overtime then it can grow into testimony and ultimately conversion. But for some, their minds are so plagued with doubts that faith doesn’t seem like a viable option. In the face of various challenges – and they may be all kinds of things – they feel that disbelief is their only rational choice. My heart goes out to those who are going through this process right now. The following is written for them, in hopes that it might help them find some way to make the choice to believe, and be able to grow from there. I have spent considerable time, over my short 26 years of life, wrestling with belief. I have never had a “faith crisis” like that which others have described, but I have experienced moments of having my faith rattled, or shaken, if you will. On my mission I was wont to “Bible Bash” and every time a preacher or whomever we came across stumped me, it would raise questions that would burn in my mind until I found an answer. When we went home for lunch, or dinner, or at the end of the day, I would passionately search the scriptures until I came up with a solution that satisfied my intellect. I haven’t experienced a rattling like that since getting home from my mission, but I do still have questions and I continue to seek out answers. Everyday I’m confronted with information that challenges my faith – whether it is explicit anti-Mormon propaganda or simply tragic news that makes me wonder, “Is there really a God? And if so, would he let that happen?” Like Enos of old, it is a daily wrestle to believe, but every day I do choose to believe. But why? I hope to explore a little bit of that here. First, I choose to believe every day because in spite of what I don’t know, there are some things I do know. I know that I’m happier when I pray in the morning, and I sleep better after I pray at night. You could say it is psychological or whatever, but even that would not change the fact that it is true. Not only am I happier, though, but my day actually does go better. I’m better at staying on task, being considerate of others, and so on. Now, again, some might want to argue it is because by taking time to pray I remind myself of what needs to be done that day, how I can (and should) serve others, etc., but again, that does not change the fact that it really, truly, does all those good things for me. God or not, why should I stop a practice that really works? I also know that the scriptures – particularly the Book of Mormon – inspire me. I know that I feel better, and do better, when I read them, and when I try to apply their teachings. I know that I have had real spiritual experiences with the Book of Mormon, other scriptures, at Church, while serving others, in answer to prayers, and so on. Thoughts and feelings that are not my own have been impressed upon my mind and my heart. Not emotional feelings, mind you, but spiritual feelings, which are as distinct from emotions as are physical feelings. They have told me to do things I would not otherwise think to do, things I do not even want to do. Sometimes I do them, other times, regrettably, I don’t. I don’t always see the impact immediately, if ever, but I always feel better when I choose to listen. I could say a lot more about what I know, but I am trying to stick strictly to what I know without any appeals to spiritual knowledge. Even still, there is more I could say, but I think I’d best move on. Second, I choose to believe every day because I much prefer the prospects of life after death over the notions of an eternal end. It doesn’t really matter whether it is true; to me it seems better to believe. You can call me a coward who can’t face the fear of death, if you wish, I don’t mind. To think of ceasing to exist is something I have never been able to wrap my head around, though I’ve tried. Ultimately, though, I don’t think I want to believe in “the end.” I much prefer thinking that I will see my deceased friends and family members again; that I will see my grandfather on by father’s side, or grandmother on my mother’s side, when I get to the other side. That though I am bound to die an imperfect and deeply flawed human being, I will be afforded an opportunity to continue to grow, progress, improve, and change for eternity. I don’t have to ultimately settle for the best I can do here (though I certainly am trying to the best I can now), because I will have chances to continue to get better in the hereafter. Furthermore, the thought that the millions who live and die a life principally of suffering will not have another life where they can be relieved of suffering, and enjoy peace and rest, is absolutely repulsive to me. While that is no excuse for not doing what I can to help alleviate the pain of others in the here and now, it is ultimately much more satisfying to believe that my meager efforts – and even the combined efforts of the many, which still fall painfully short – to help those in need does not represent the full extent of mercy and compassion they will receive; that a loving and caring God has a peace for them beyond that of this world. Third, I choose to believe because the thought of the Atonement is deeply moving for me. I truly “stand all amazed” by the whole affair. As a deeply flawed individual, I am encouraged by the thought that Jesus – seeing my plight and imperfection, along with that of the rest of humanity – felt to show me the way with his example, endured torture and suffering – anguish of soul and body – because he believed it might help me, that it might help all of us. I frankly can’t make sense of how Jesus’ suffering and death on the cross atones for us, and for me that does not matter. What matters is the thought, the notion, that someone far greater than I would endure that pain believing it would help me. That is powerful; that is enabling. It, of course, enables and empowers beyond simply the way an inspiring tale can. There is a spiritually empowering element to it, which I believe only accompanies the thought because it is true. I have often felt the empowering affects of the Atonement in my life in overcoming sin and other shortcomings. But even without that, just the thought of Christ willingly enduring torment and death – and, I should mention, his rising above it through resurrection – for the betterment of others, including myself, makes me want to weep. It is a beautiful thought, one that I would want to be true, even if it wasn’t. Hence, I choose to believe it, even in moments of doubt. Fourth, I choose to believe, because I frankly can’t make any sense of disbelief. I can’t make sense of how this all exists without a God, but even more so, I can’t make sense of how Joseph Smith produced the Book of Mormon simply on his own. The book is too long, too complex, and too beautiful to have been produced by a farm boy rapidly making up a story to tell to his scribe. I can’t make sense of the three and eight witnesses without real gold plates. And I can’t make sense of a lot of other things pertaining to the restoration and the Book of Mormon without some sort of real divine force being behind it. Maybe you can make sense of it all – certainly others have tried – but I can’t. Disbelief is just something I can’t make sense of. It leaves me with far more questions and perplexities than belief does. But then, what about the issues that cause people doubt? What about the questions that remain? What about polygamy, the priesthood ban, and a host of other issues? For me, that is part of the beauty of the Gospel. It supplies an endless array of questions to explore, infinite hypotheses to test. It does not settle all the mysteries for you. There are puzzling features that can make you scratch your head. Some people ask, “Why doesn’t God just reveal where the Book of Mormon took place to the prophet?” or “Why don’t the leaders of the Church address these questions?” “Why must we depend on ‘unofficial’ apologists and scholars?” In my experience, God has never just given people the answers. Even Joseph Smith had to seek for two years or more before he had the First Vision! God revealing answers to “settle” these questions (as if yet another revelation could satisfy the antagonists and lay all doubt to rest) would greatly defeat the purpose of life, which is to learn and grow through the trial of faith. 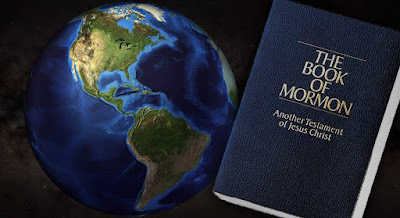 In exploring questions about the Book of Mormon’s authenticity, I have learned far more than I ever would have about geography, archaeology, anthropology, history, genetics, botany, zoology, linguistics, literary studies, ancient studies, and several other disciplines. In the process I have reached a number of conclusions that have helped me, and found answers that satisfy my intellectual cravings on these issues. But it is the learning, more than the solutions I personally prefer, that is the ultimate aim; and that learning is lost when the answers are simply handed to us. I believe God leaves questions that linger in order to prompt that quest to learn. When the curtain is pulled and all is revealed, I think we will find that all our pet theories are off the mark, and substantially so. But what we learned, and the process we went through, will prove to be valuable in our continued progression through the eternities. So that is why I believe. At least, that is why I believe today. The thing about belief being a daily battle is that the reasons are always evolving. I am not done wrestling with belief simply because I have written this down. But it represents the fruits of my personal confrontation with belief and disbelief up to this point, and I only hope that by sharing it with you, it can provide some fodder to chew on in your own struggle between belief and disbelief.